With another win comes another call to the champion in a given division, demanding a title shot and a chance to dethrone greatness. Such is the case for UFC middleweight, Chris Weidman (9-0 MMA, 5-0 UFC). Weidman has looked great in his UFC performances and spectacular in his last fight against Mark Munoz, which ended in a second round KO for the New York native. 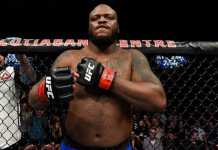 As a top prospect it is extremely probable that we will one day see him in the Octagon across from middleweight champion, Anderson Silva in a great stylistic clash between the greatest fighter in the world today and a man who could be the greatest fighter tomorrow. The key word though, is tomorrow. In a world full of unwarranted UFC title shots with three confirmed fights in 2013 featuring a challenger coming off of a loss, I would have to add Weidman to a similar list. While being undefeated, I just can’t board the Weidman train to Title Town just yet. But, before the comment section explodes with accusations of blasphemy and hurtful insults on my low levels of intelligence, lets take a look at Weidman’s UFC opponents in chronological order. First, there is Alessio Sakara. A streaky middleweight who is just a few losses away from a .500 record and one that hasn’t officially won a fight since 2010. Sure, he beat Patrick Cote down but with a multitude of illegal punches to the back of the head, Sakara had the win taken from him. Next is Jesse Bongfeldt, which is a relative step down in competition based on his notoriety. Another opponent, another dominant win. With Bongfeldt though, Weidman faced a man who doesn’t have a win in the UFC which in some cases is like breaking a HR record in the minor leagues but not enjoying nearly the same success in the majors. What I’m saying is even at 15-4 outside of the UFC, Bongfeldt couldn’t get it done where it mattered. 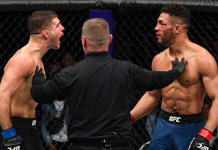 Moving laterally along the contender list, we saw Weidman dominate and defeat Tom Lawlor who falls in line with Sakara as one who makes his career on brief win streaks only to become stagnant as the proverbial gatekeeper in the division. With an injury to Michael Bisping, Weidman got his first test against a top-10 middleweight, at the time at least, in Demian Maia. 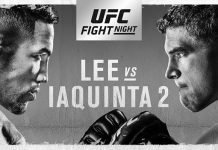 Maia was overwhelmed and beaten by unanimous decision in a fight he never showed up for. Talking about these last two fights is when I get the most flak for denying Weidman his title shot so let me explain. First of all, dubbing Maia as a former title challenger couldn’t be farther from the truth. Instead, Maia was a late replacement for both Vitor Belfort and Chael Sonnen in a card that was making its debut in Abu Dhabi and couldn’t afford to take Silva off the card. Also, while Maia is a dangerous jiu-jitsu practitioner, he hasn’t finished a fight at middleweight since 2009. As for the Mark Munoz win, a knockout over a top contender is all you can say about it. Munoz is good and has always been near the top of the division and Weidman made him look unprepared. Simply based on past competition, however, being ranked in the top three seems premature. 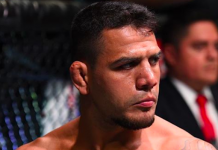 With proven veterans Vitor Belfort, Ronaldo Souza, and Hector Lombard all improving even at this stage of their career, why not pit Weidman against some of them to silence critics like myself who want Weidman to defend his unofficial title as number one contender while also leaving a clear cut candidate for the most unachievable title in MMA, just above light-heavyweight champion. All three fighters wouldn’t be able to get held down easily by the wrestling stand out while at the same time, their raw physicality and black belts in jiu-jitsu would test Weidman, who holds a purple belt under Matt Serra. but could always use real world practice against fighters who could match his strength. 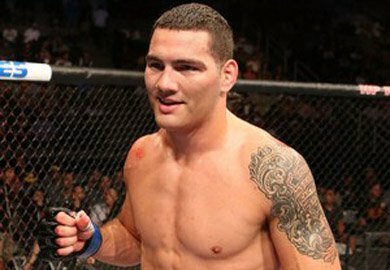 Weidman is a great fighter but why not groom the 28-year old even for one more year while letting him face top-level competition and accruing a record that holds not inly fellow middleweights but maybe a fellow top middleweight prospect like fellow Serra-Longo teammate Costa Philippou or the aforementioned trio of veterans. For right now though, there is nothing Weidman can say that wold legitimize a claim for title as he doesn’t possess the same level of trash talking as Chael Sonnen or unreal, unorthodox, and undeniable skill of Jon Jones who won the title in division that couldn’t hold a champion for more than two fights since Chuck Liddell ruled the division. Or better yet, send him on for his tenth fight ever in only his fourth year as a professional against a man who has single-handedly reshaped a sport whilst defeating some of the best fighters on the planet, all of which come from various and diverse stylistic backgrounds. A man who has spent almost 16 years fighting and is currently riding a win streak that almost doubles the entire career of Weidman, with 15 out of the total of 17 have been brutal finishes. 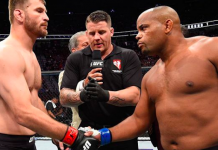 Silva has proven himself against all-comers and has shown that no matter what level of expertise you bring in any particular area, he can counter it and make you pay for trying. Weidman is also coming off of an injury that could take little more time to heal up and pit him against Silva after around a year off of fighting during which time challengers have risen and fallen and risen again in their claim for the middleweight title. A fight that, on paper, at this stage in Weidman’s career, goes to Silva 9 out of 10 times in my opinion. But Weidman wants the shot, along with what seems like the majority of the MMA fanbase so I say, why not, lets see what he’s made of and come the end of this year, who knows, maybe I’ll be eating my words.